Culture Smart! sets out to provide travellers with vital information about the values and attitudes of the people they will meet, and practical advice on how to make the most of their visit abroad. Travellers to Poland in particular, a country in rapid transition from its recent Communist past, need to be open-minded and well-informed. Today’s Poland is very much a mix of the old and the new, and the two are not always in harmony. Background knowledge of the land, people, and history is crucial to an understanding of the Polish character: the Polish sense of identity has been forged by history, and the reader is introduced to the main events of Poland’s turbulent past. 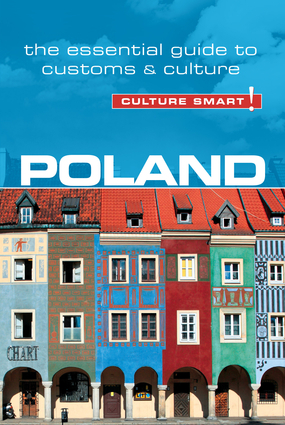 The chapter on values and attitudes provides essential insights into this relationship-based society, and will prepare you for the specific nature of Polish social and business life. Other chapters show you where and how to meet local people and establish good relations, how Poles behave in everyday life, and how they celebrate special occasions. Finally, the business chapter provides key information aimed at making your time in Poland as successful as it will be enjoyable. More than anything else, the Polish people are warm and generous and place great value on personal relationships. Do not pass up the opportunity to visit people in their homes, as their hospitality is legendary. The Poles say, “A guest in the home is God in the home.” Culture Smart! Poland will help you to become a better visitor and a welcome guest in their country. Poles like to be heard. Don’t feel offended therefore if a Polish friend or colleague disagrees with you in a very vocal and expressive manner. It actually means that you have been accepted as an active partner in the conversation.